Specials: Early-Bird discounts for booking 6+ & 12+ months in advance! 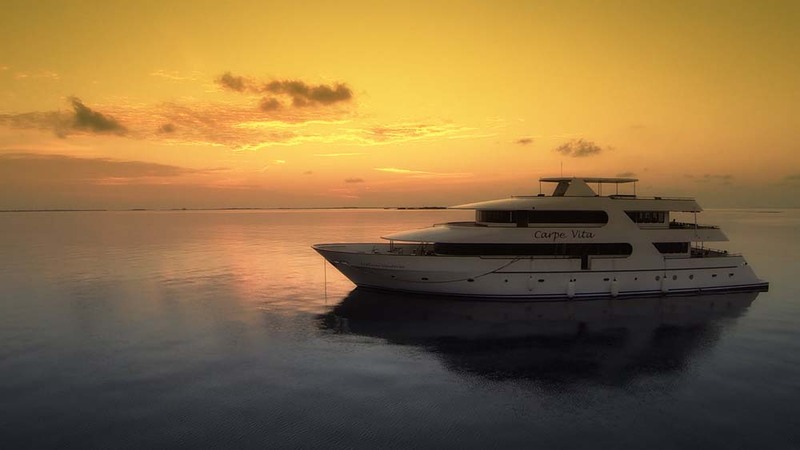 Carpe Vita is very much the diver’s choice of Maldives liveaboard boats. 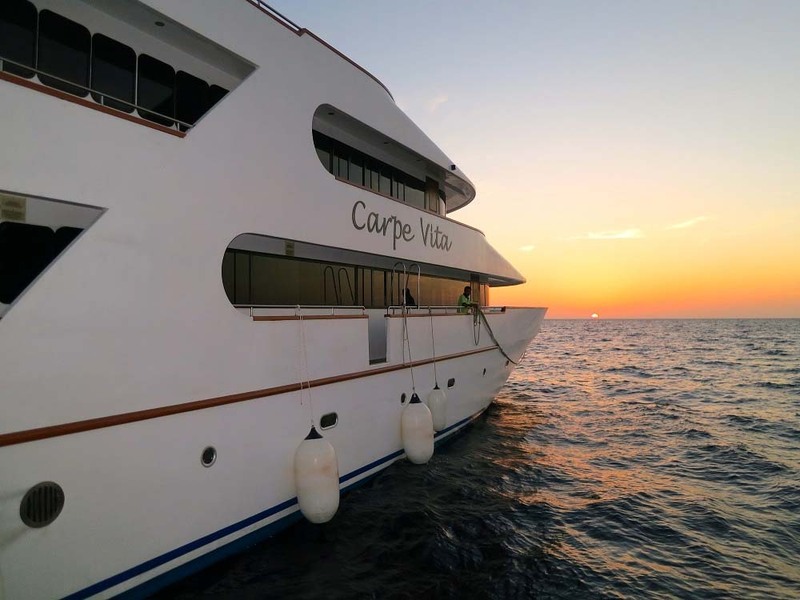 While luxury is high and the value unbeatable, there is more diving to be enjoyed on Carpe Vita than on comparable vessels. 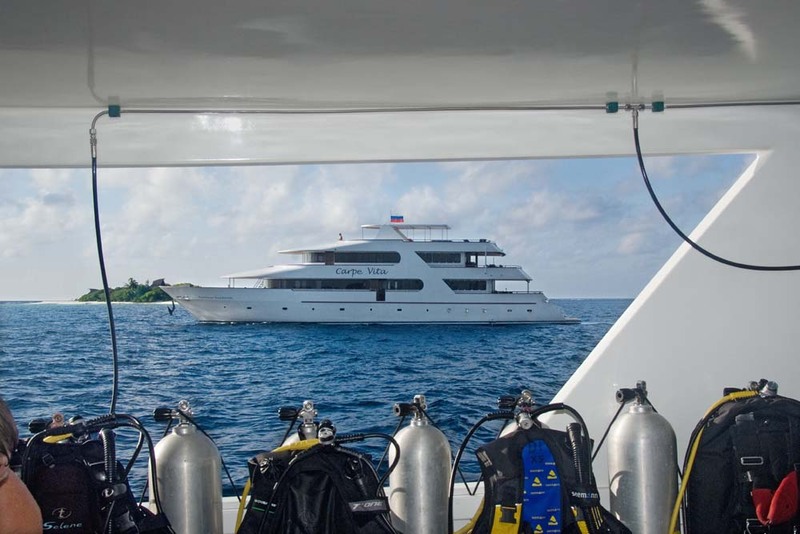 Up to four dives per day ensures that all twenty of the lucky guests can get to enjoy some of the best diving conditions in the world, then relax & socialise on one of the best Maldives dive yachts. 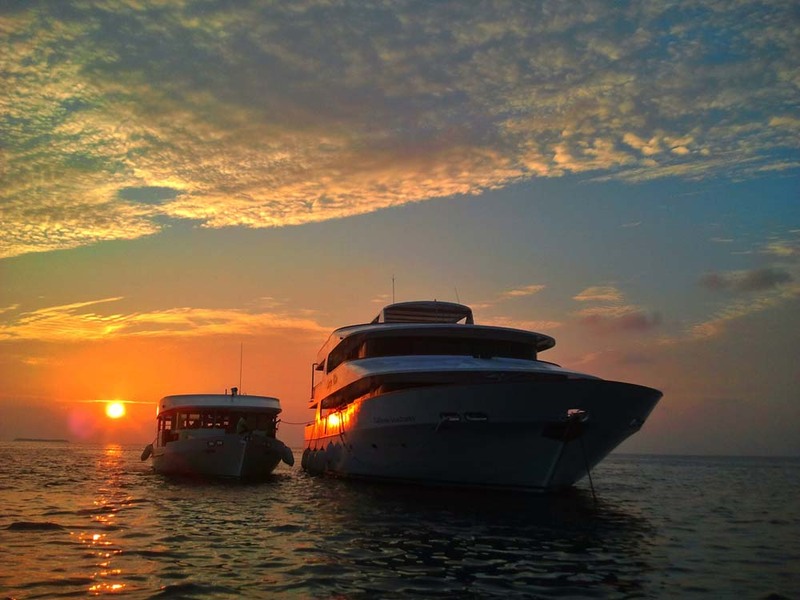 Due to the focus on diving at the best Maldives locations at any given time of the month or year, guests tend to be more experienced divers than on other boats, and Advanced certification is necessary, although this can be completed on board. 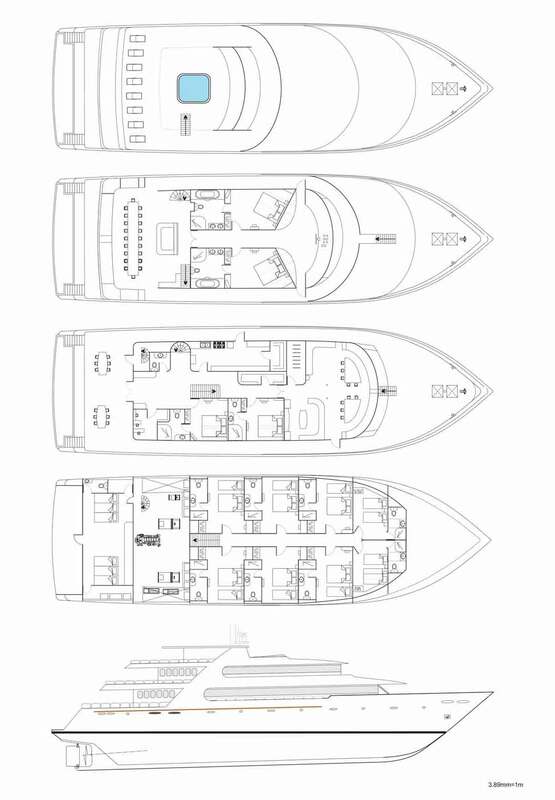 At a length of 38m., Carpe Vita is a large diving yacht, and easily has enough space for its 20 guests, whether they want to spend time in their private cabin or out on deck. 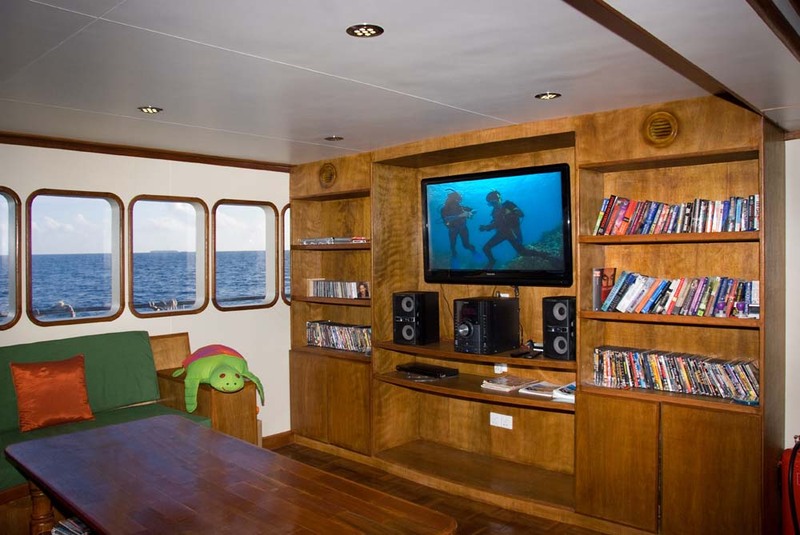 The boat was built in 2011 by a team of expert shipbuilders and overseen by a successful and experienced team of divers. 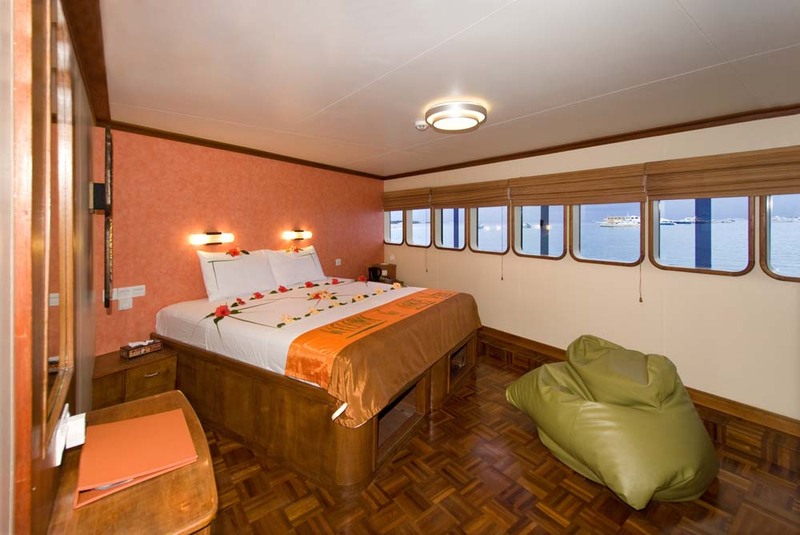 This new project was necessary due to the success & popularity of its sister ship, Carpe Diem, which was fully booked months in advance. 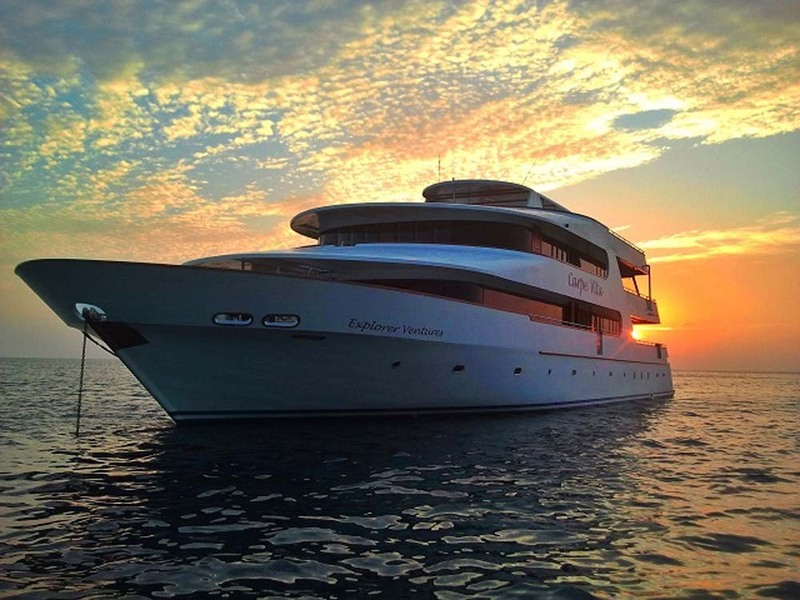 Instead of modifying an existing boat to accommodate more guests, the Carpe Diem team built this brand new dive yacht. 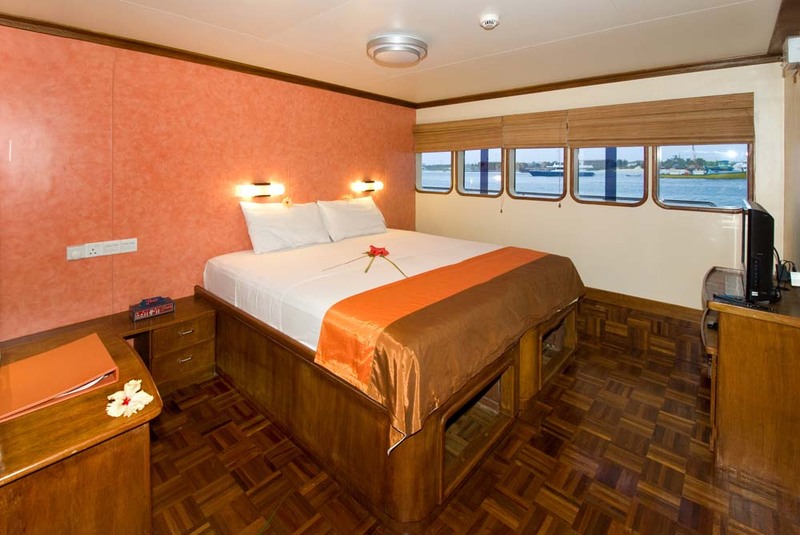 Carpe Vita has three decks, and each has air-conditioned cabins for the guests in three levels of luxury & price. 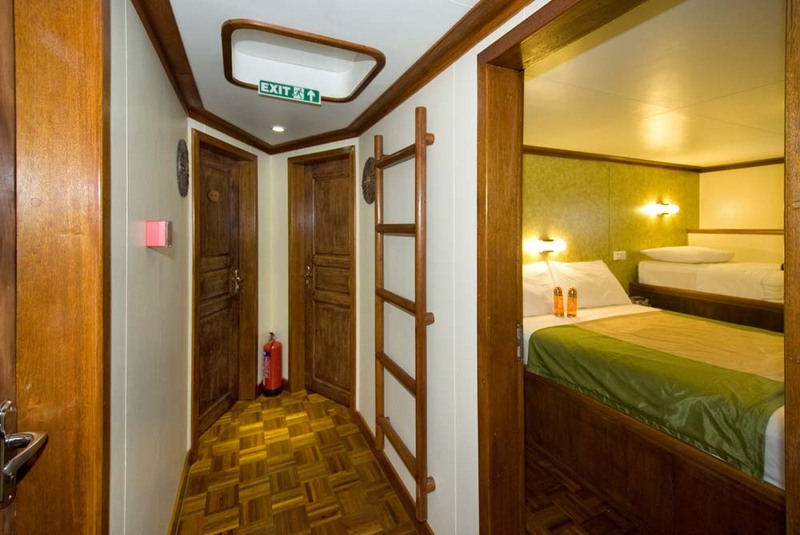 On the boat’s lower deck are 6 standard cabins, which each has a double and a single bed but accommodates no more than two guests. 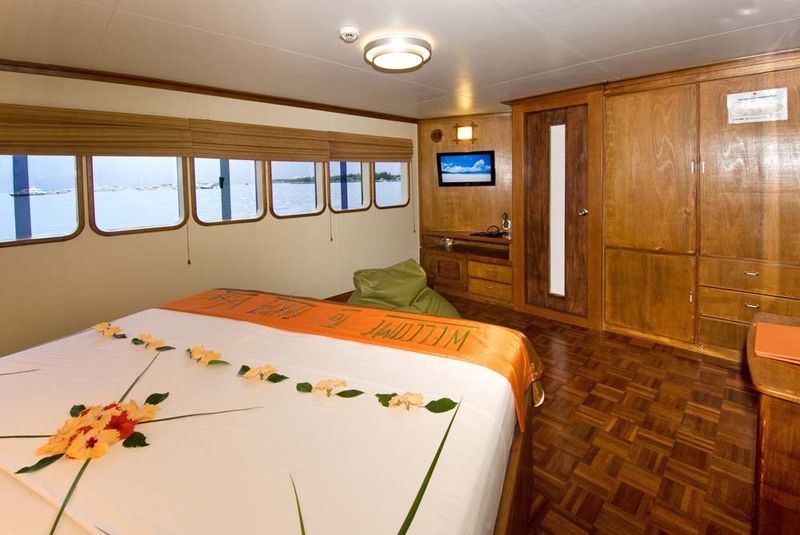 This configuration allows for couples, friends or solo travellers to sleep in comfort. 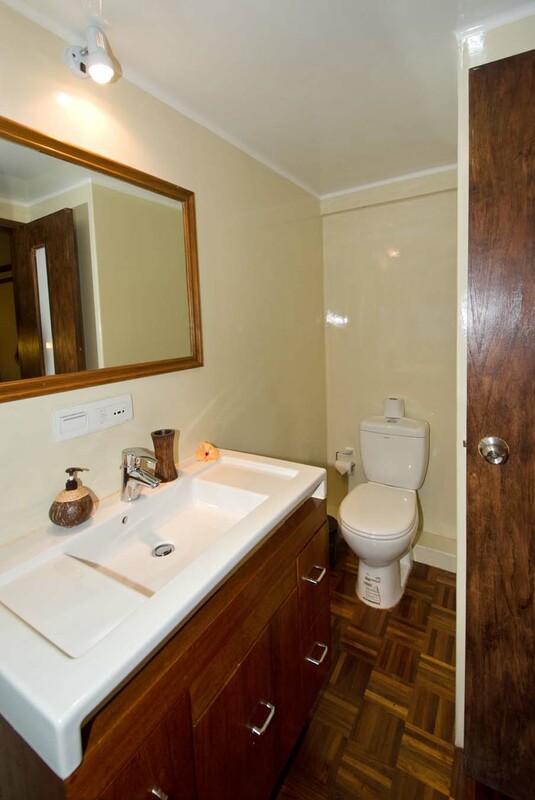 The cabins are clean and well appointed. 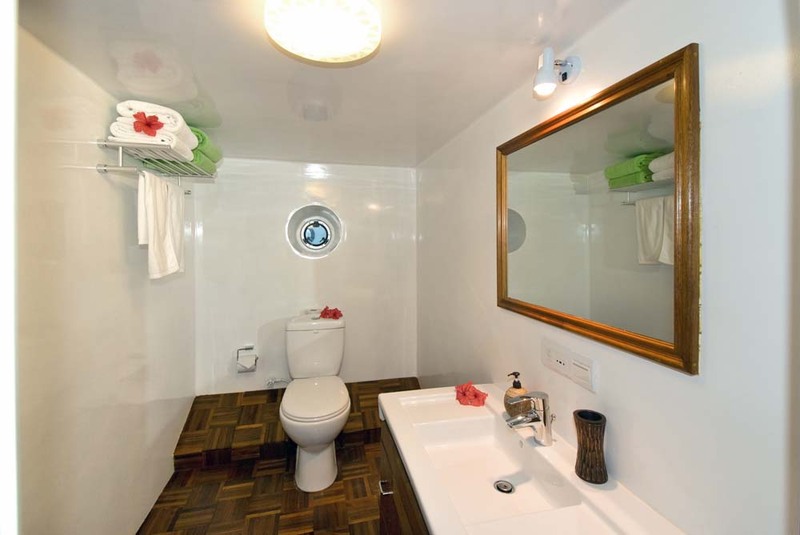 They have private en suite bathrooms, individually-controlled air conditioners, a porthole, plenty of storage space, and a flat-screen television. 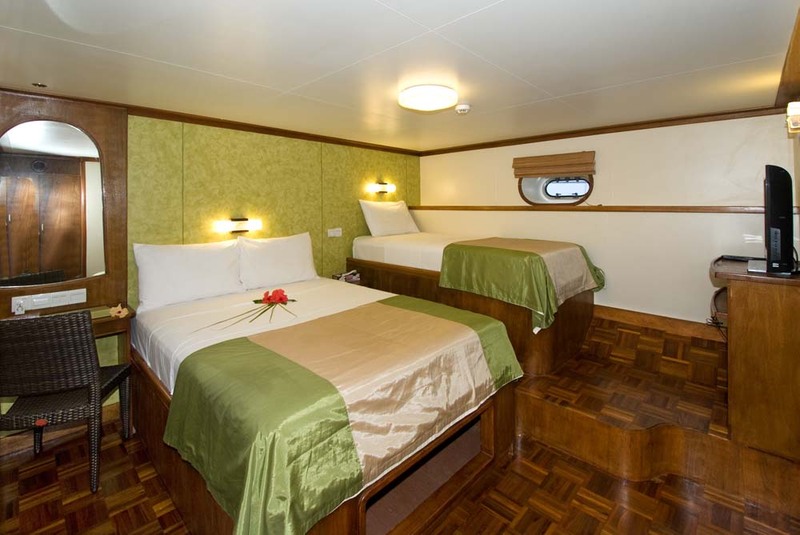 The superior cabins are on the main deck of Carpe Vita, and although in our pictures they are shown with large double beds, these can be separated to act as two singles. 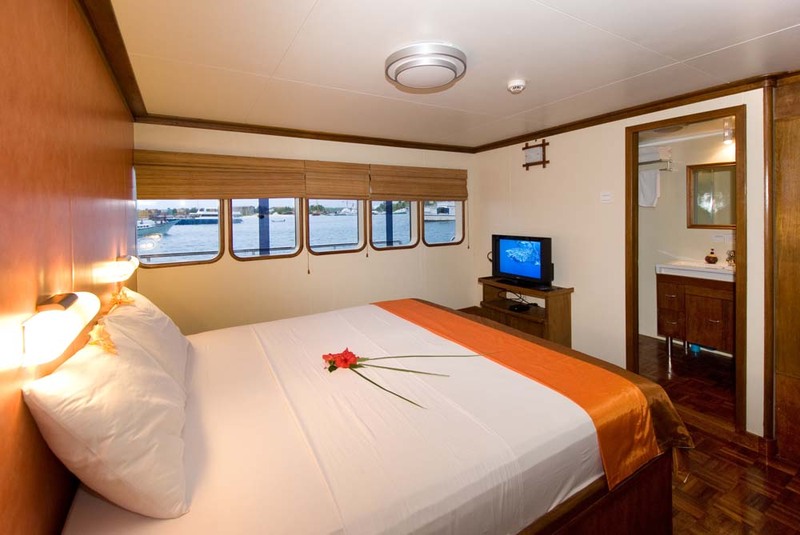 These cabins have the same features as the standard cabins plus more space and full-size windows so that guests can enjoy the stunning views of the Maldives atolls. 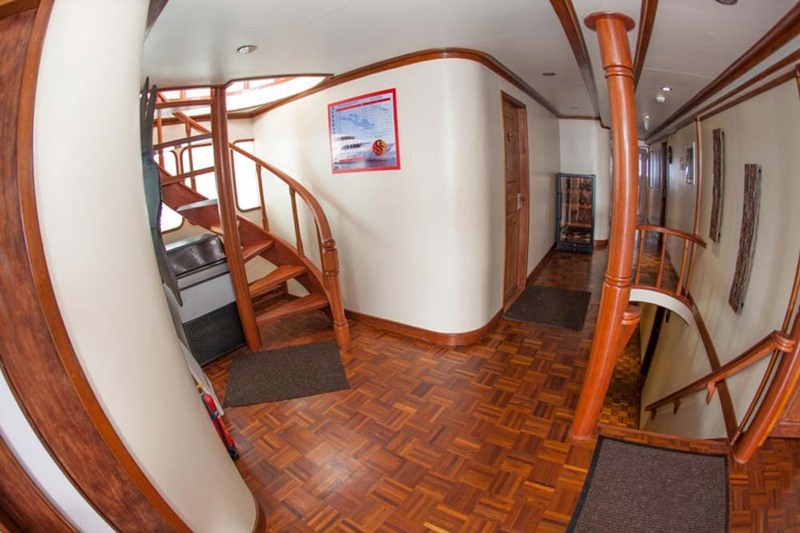 The upper deck is home to two cabins for the luckiest guests on the boat. 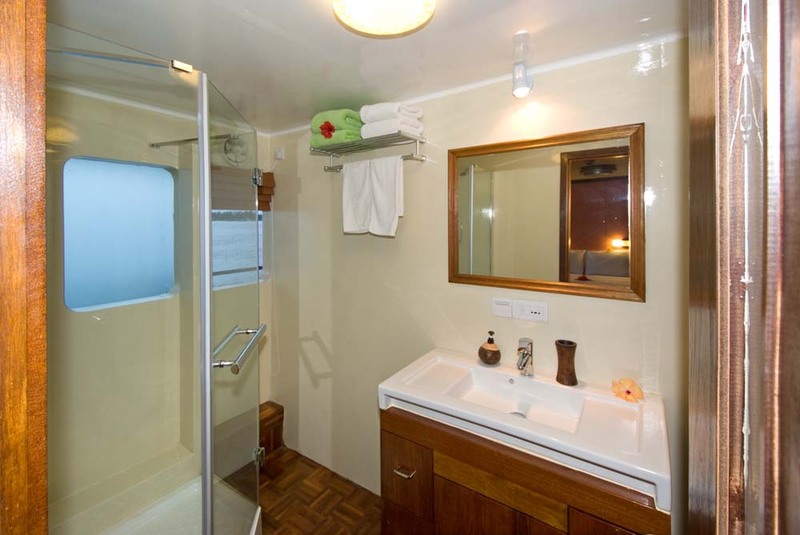 These suites are even more spacious than the superior cabins, and their huge bathrooms have a separate bathtub & shower cubicle and twin wash basins. 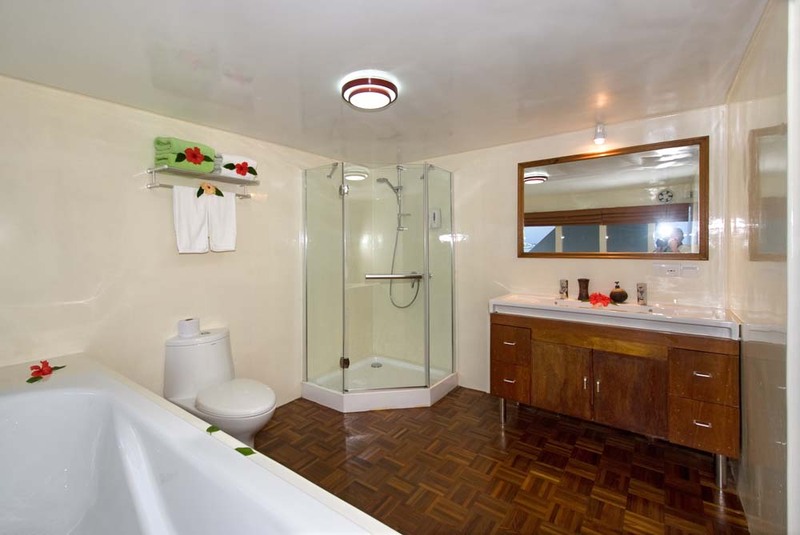 The best views are also guaranteed from the large windows in both the bedrooms and bathrooms. 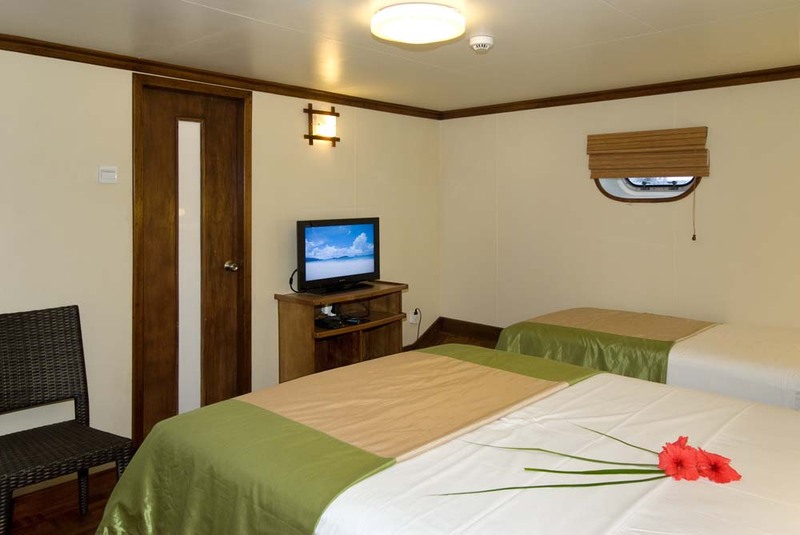 Like the superior cabins, the king-size suite beds can be separated to make two large singles. 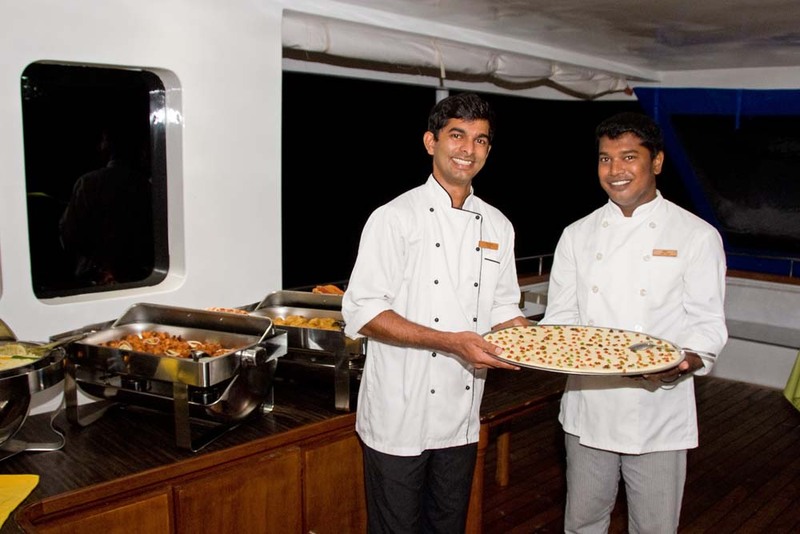 After up to 3 dives per day guests are certain to be hungry, and Carpe Vita’s chef and kitchen team are more than up to the task of ensuring that everyone enjoys three meals per day, plus snacks. The delicious food is local and western cuisine and served in style. 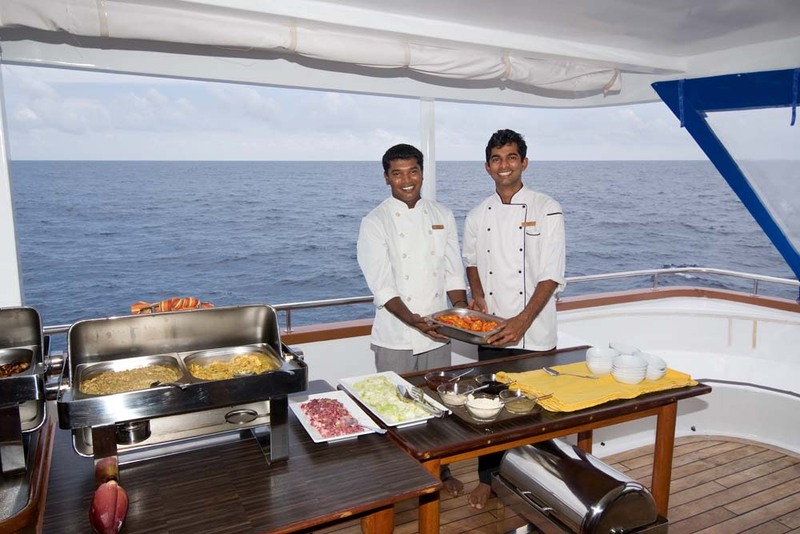 Carpe Vita guests should not expect to lose any weight during their wonderful Maldives diving cruise! 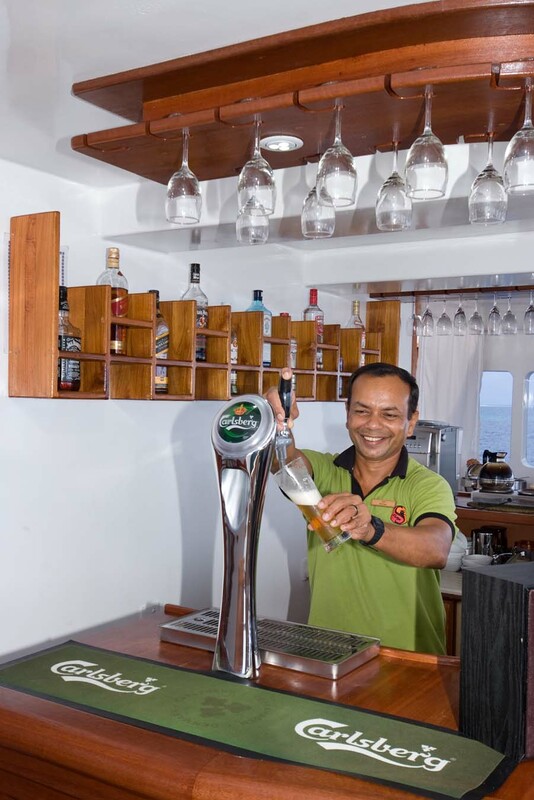 Unlike many other diving liveaboard vessels around the Maldives, Carpe Vita guests can enjoy two free beers or glasses of wine with each evening meal, and soft drinks are also included in the competitive rates. 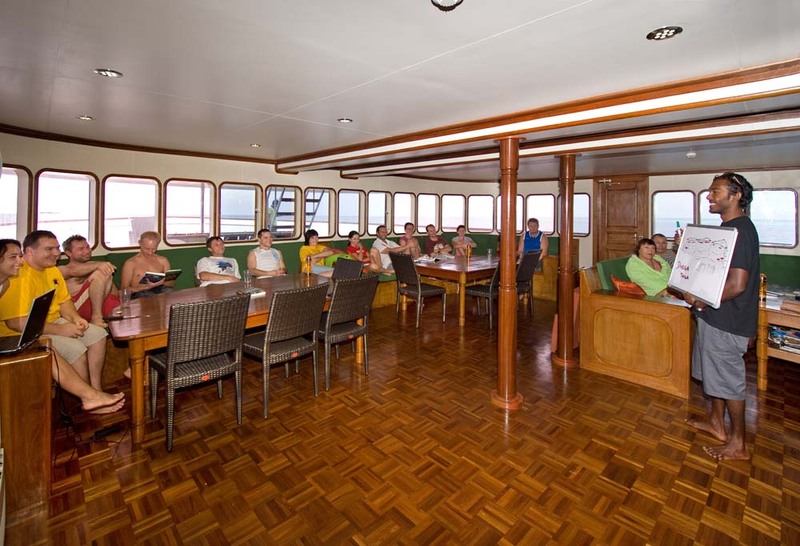 Communal areas of Carpe Vita include a huge air-conditioned indoor saloon/lounge, two outdoor dining areas (which of course can be protected from the elements), and lots of places to sit quietly or sunbathe. 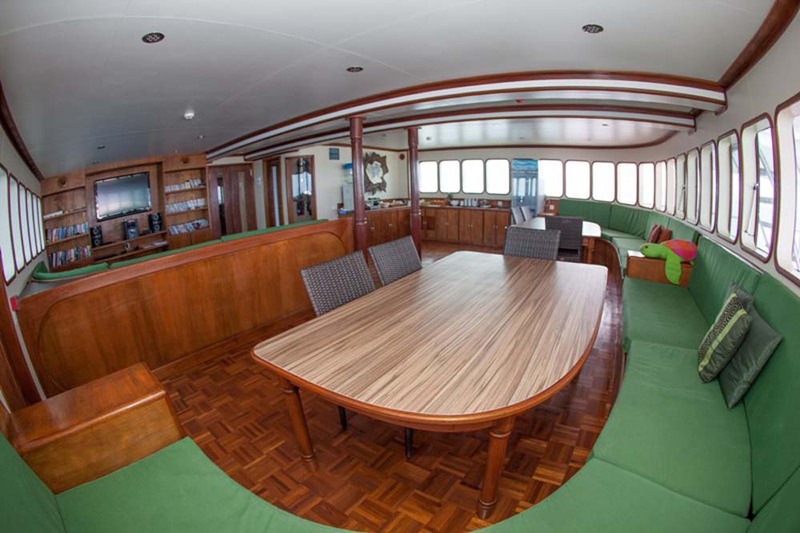 This is particularly the case on Carpe Vita’s uppermost deck, which has sun loungers, shaded sofas and a Jacuzzi. 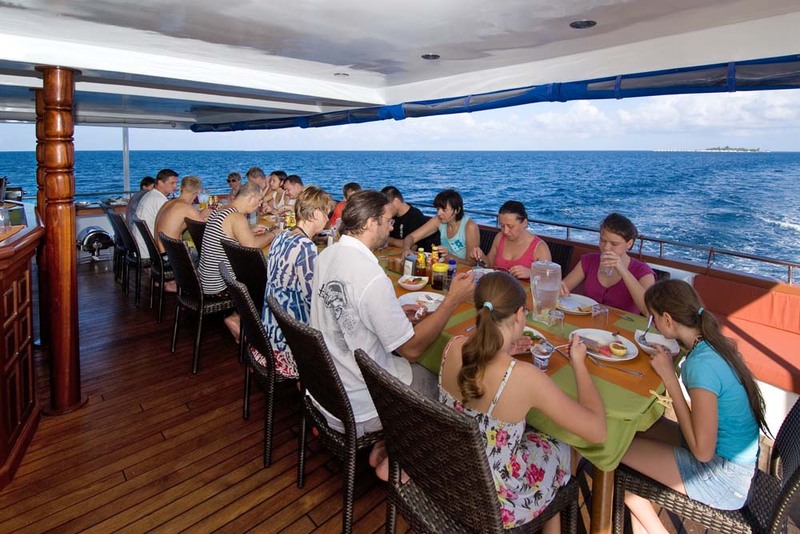 Even after 3 dives per day, guests still want to get back in the water – making the Jacuzzi very popular. 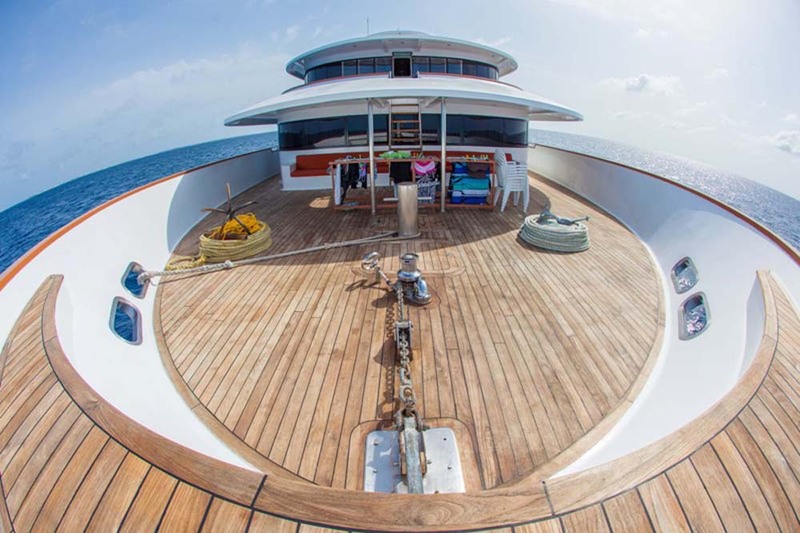 Due to the large size of Carpe Vita and its designers wanting to maximise space & comfort on board, the diving is done from its support vessel, known locally as a dhoni. 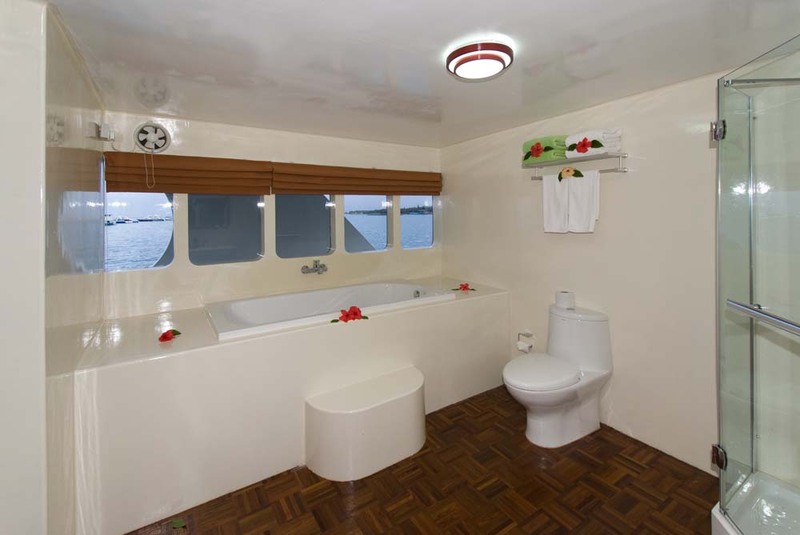 This tender is itself 20m long and has lots of space for divers to gear up & move around, freshwater showers and a toilet. 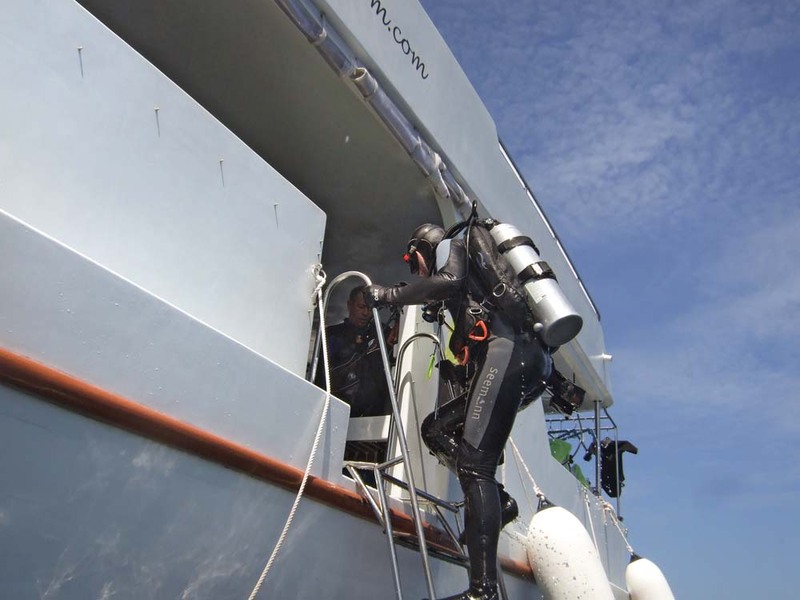 In addition, there are several exits & ladders on the dhoni to ensure that every dive starts and finishes safely & smoothly. 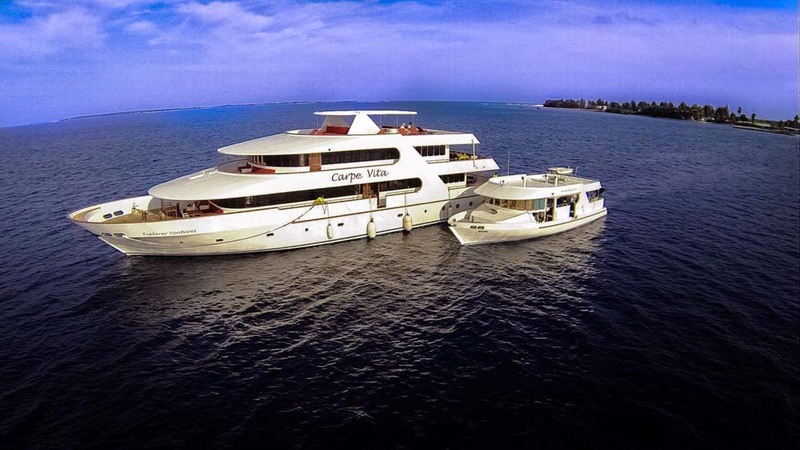 All in all, for guests who want to enjoy the best diving at The Maldives, luxurious cruises at affordable rates, and a drink or two with their evening meal, Carpe Vita is unbeatable. 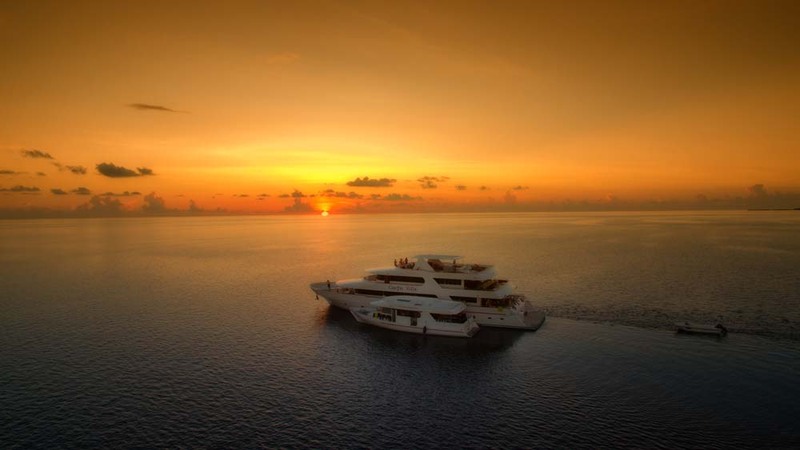 The experienced staff & crew add to the feeling of safety, service & professionalism. There are a few Maldives diving itineraries for Carpe Vita guests. Most depart from and return to Male’, while a few use other ports, such as Ari. Please check the schedule carefully or ask us before you book your flights. 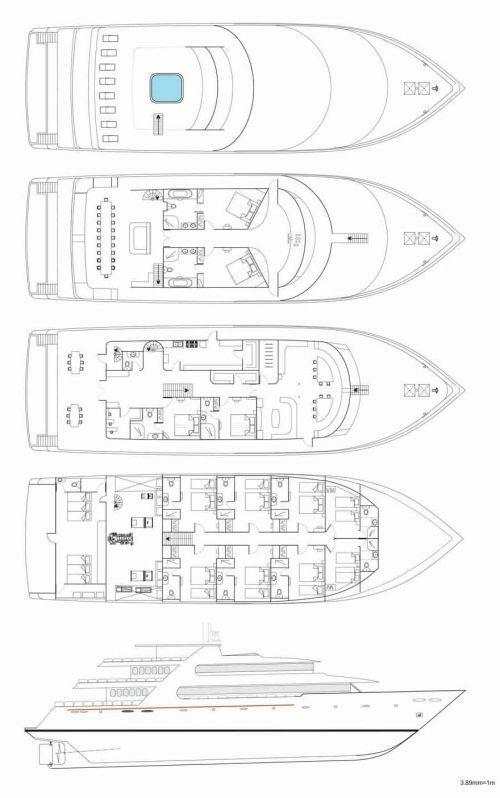 Fuel Tank Capacity: 2 X Tanks Of 6,000 Liters Per Tank (Total 12 Tons). Engine: Doosan Daewood Marine Diesel (Model No: V1 80219), HP 800. Generators: 2 X Zenith Isuzu 52KW Marine-Gen Set. 1 X Zenith Isuzu 16KW Marine-Gen Set. 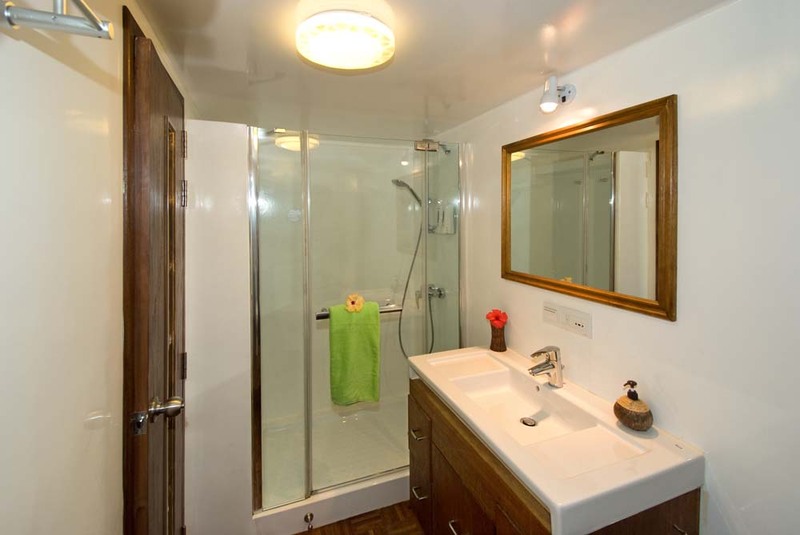 Electric Voltage: 220 / 50 Hz, 3 Phase, 24 Hrs / Day. HP Compressors: 2 X L&W 420 Electric. 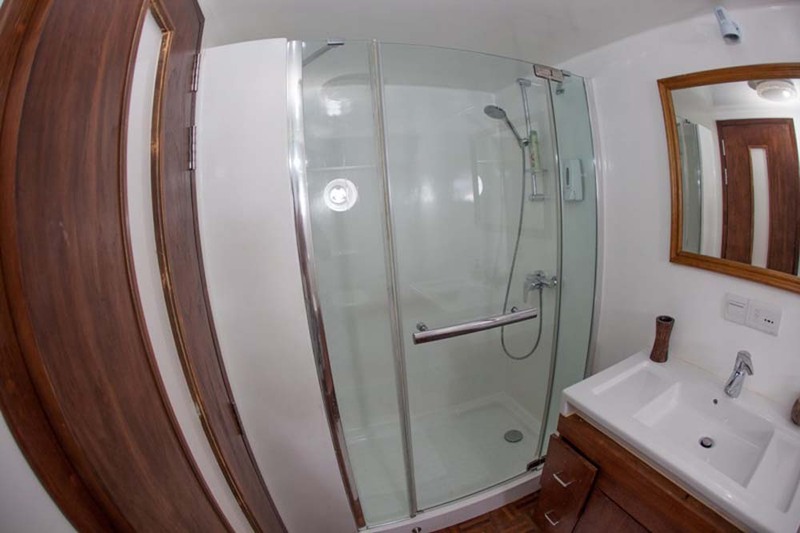 Fresh Water Capacity: 10,000 Liters (10 Tons). Water Maker: 1 X WASCO Desalinator 400 Liters / Hr. 10 Tons / Day. 1 X WASCO Desalinator 600 Liters / Hr. 15 Tons / Day. Safety Equipment: Smoke Detectors, Fire Extinguishers, Life Jackets, Emergency Alarm. FA Oxygen On Board 10,500 Litres. There is a wide range of courses available on Carpe Vita. Please let us know well in advance of any courses you are interested in, so that we can prepare materials, staff and any equipment before your arrival. 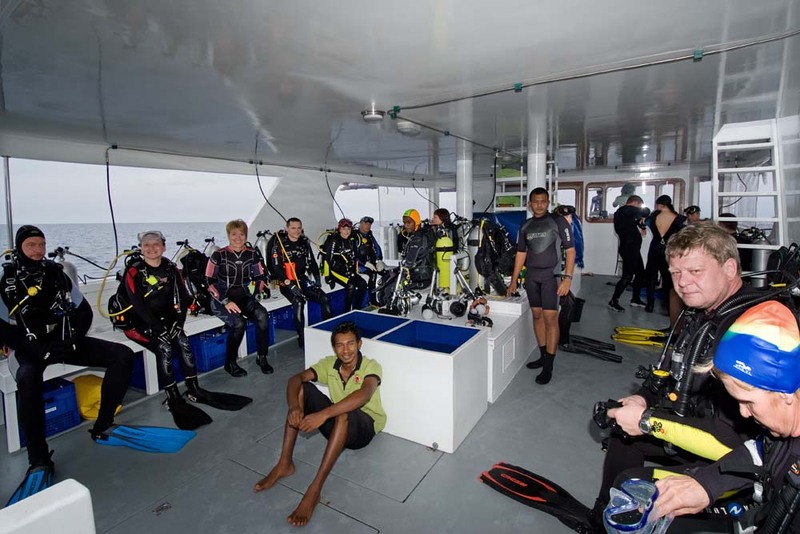 Please note that although Open Water divers are welcome on board, the dive sites visited by Carpe Vita are more often deep, and OW divers would need to take the AOW course on board. 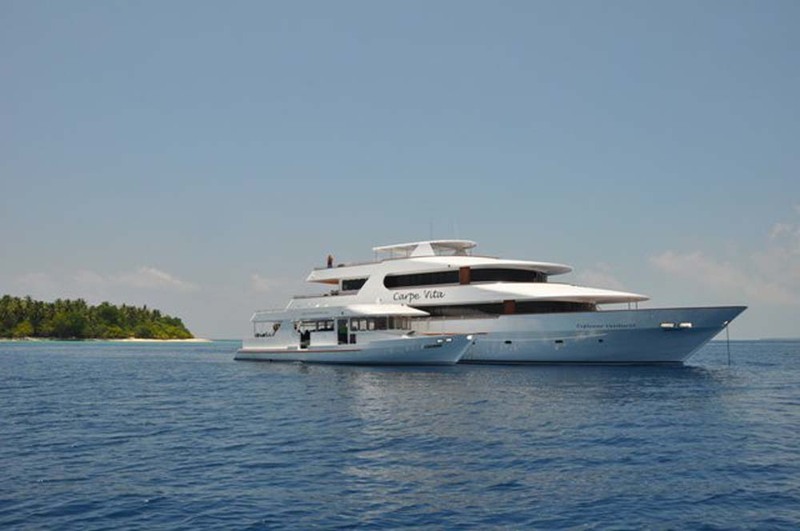 There are free scheduled transfers from Male’ International Airport on departure day and back again after the cruise. These transfers are at set times, to coincide with most guests’ flights. Please let us know your travel plans so that we can assist with the most convenient transfer for you. The prices in the table below are for rental equipment on Carpe Vita. They are in USD$ and subject to a 12% GST (Government Sales Tax). Please let us know as soon as possible which items and in which sizes you will require. SMBs (safety sausages), weights, weightbelts, and standard 12-litre tanks are available free of charge.